I am not a bot. I measure my own DIY audio gear. But as an audio-show reporter, I’m only interested in those biologically significant sounds that connect my mind as directly as possible to the music being played. I want to see and feel some inkling of a real orchestra floating between the speakers. I found that connection right away in the room sponsored by retailer-distributor Refined Audio. 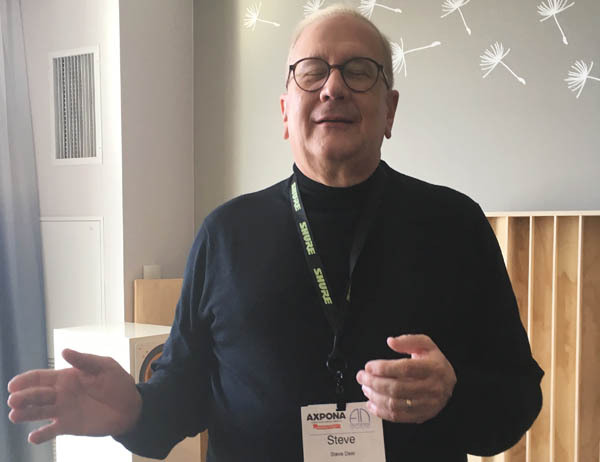 In addition to fine music reproduction, I had the honor of discussing the sensory perceptions of bats and bullfrogs with my new friend and hero, Steven Dear (above), who is a professor of psychophysics and physical acoustics, and a member of designer Nelson Pass’s inner circle. Everyone knows I think the First Watt SIT-3 amplifier ($4000) is one of the most fully resolving amplifiers I’ve ever used. I reviewed the SIT-3 with every speaker in my house, and I heard it in Nelson Pass’s lab/studio, driving a pair of DIY speakers featuring 8″ Cube Audio full-range drivers. I wanted to own those speakers. But today, Jon Ver Halen of Refined Audio was using the SIT-3 to drive Cube Audio’s beautiful Nenuphar (Egyptian Lotus) full-range speakers. The Nenuphar’s drive unit is a unique four-cone design—one main cone and three whizzers—with neodymium magnets. Did I mention that no crossovers are employed? Quality full-range loudspeakers such as these have a direct, fresh, nothing-between-you-and-the-recording presentation—one that specializes in holding the listener’s attention. We played Stokowski (conducting Liszt) and Satchmo (playing King Oliver), and the balance between sweet and uber-clear was profoundly right. Most important, the extremes of the bass and treble ranges, typically areas of difficulty for full-range drivers, were lucid and extended in an extremely satisfying way. Did I mention the room was all-analog? 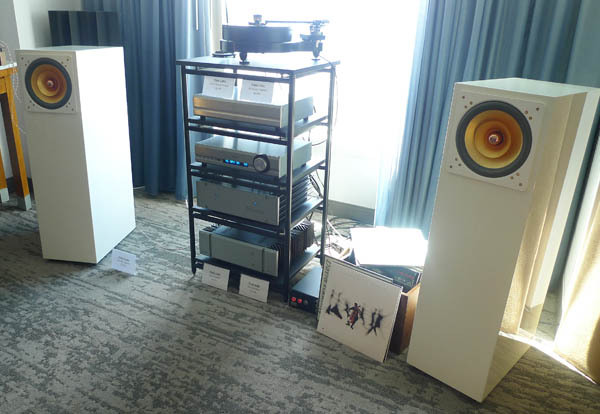 Other gear included: a Pass Labs XP-17 phono preamp ($4300), XP-12 line stage ($5800), XA25 amplifier ($4900), and a Raven turntable and tonearm with an Ortofon SPU Royal N cartridge. I am planning a review of those Egyptian Lotus speakers.